TEHRAN — Iran’s supreme leader Ayatollah Ali Khamenei urged the Islamic world Tuesday to arm Palestinians to allow them to counter what he called Israel’s “genocide” in the Gaza Strip. 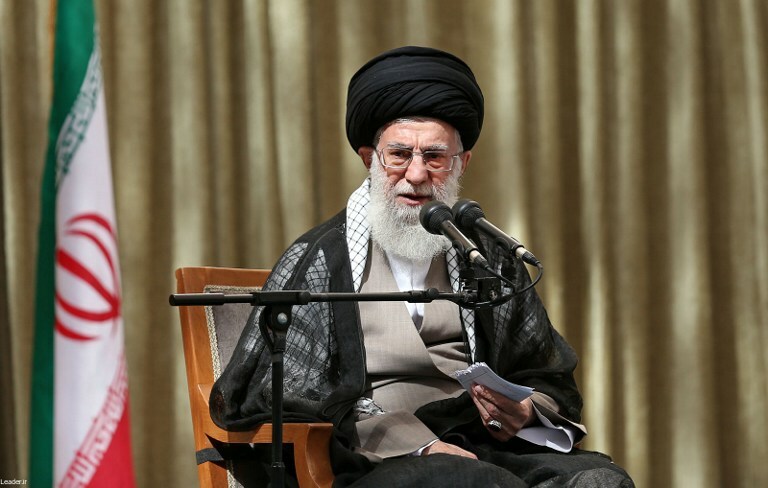 In a speech marking the Muslim festival of Eid al-Fitr, Khamenei said Israel was acting like a “rabid dog” and “a wild wolf,” causing a human catastrophe that must be resisted. After three weeks of fighting that has killed more than 1,100 Palestinians, many of them Hamas gunmen, and 53 IDF troops, two Israeli civilians and one foreign worker in Israel, he sought to pay tribute and rally support to those under attack from Israeli military forces in Gaza. “A people surrounded in a small place with closed borders, unsure of having water and electricity, this population faces an armed enemy,” Khamenei said. “The people resist unabated. This is a lesson for all,” he added in remarks broadcast live from the capital’s Imam Khomeini mosque, built in memory of the late founder of the Islamic republic. Iran does not recognize Israel’s existence and supports Palestinian Islamist groups that fight it. Israel launched Operation Protective Edge on July 8 to put an end to Gazan rocket fire and destroy a series of tunnels infiltrating into Israel. At the same event, Iran’s President Hassan Rouhani said the Muslim world was beset by “two tumors” — Israel, and the jihadists of the Islamic State (IS), who have grabbed large parts of Syria and Iraq. After his speech, Khamenei reiterated his appeal for Gaza during a meeting in Tehran with the ambassadors of several Muslim nations, according to comments published on his official website. 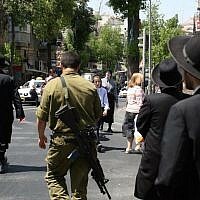 “Today, Palestinians need the necessities of life… and weapons and equipment,” he said. His comments follow rallies held across Iran Friday in support of the Palestinians and to protest against Israel. On Monday night, Iranian Foreign Minister Mohammad Javad Zarif spoke by telephone with Hamas leader Khaled Mashaal and Islamic Jihad leader Ramadan Abdullah. “Any ceasefire must include an end to the blockade of Gaza and a guarantee that the attacks of the Zionist regime will not be repeated,” Zarif said. On Thursday, the speaker of Iran’s parliament, Ali Larijani, told state television that Tehran had provided Hamas with the technology it has used to fire rockets from Gaza into Israel. In the last major conflict in and around Gaza in November 2012, Larijani said Iran was proud to have provided “both financial and military support” to Hamas. During those clashes, Israel accused Iran of supplying fighters with Fajr-5 missiles, which have a range of 75 kilometers (45 miles).